The Saturday before last, November 14, I was at the Salton Sea with Terry Nakazono. 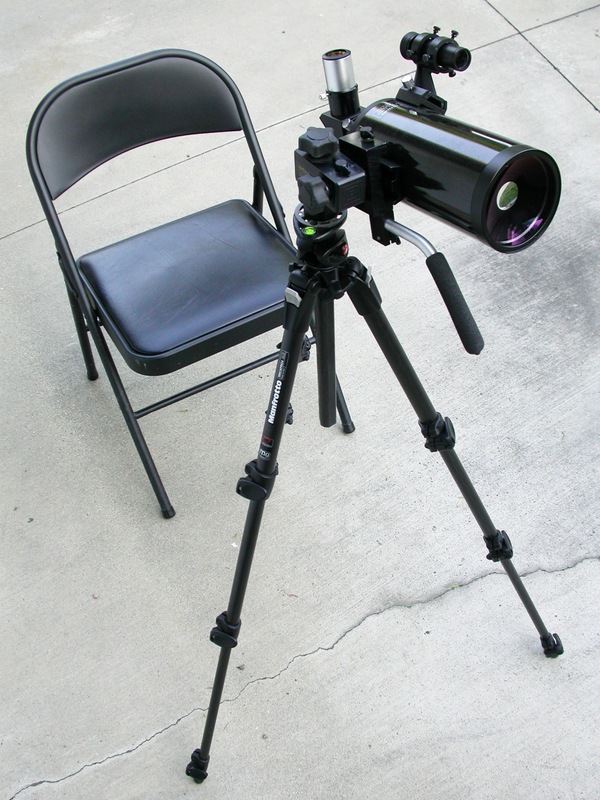 Terry was rolling with a new scope – a Meade Polaris 114. It’s an f/8.8 reflector – the 1000mm focal length makes it a bit longer than the 900mm, f/7.9 Orion XT4.5 (which London has). 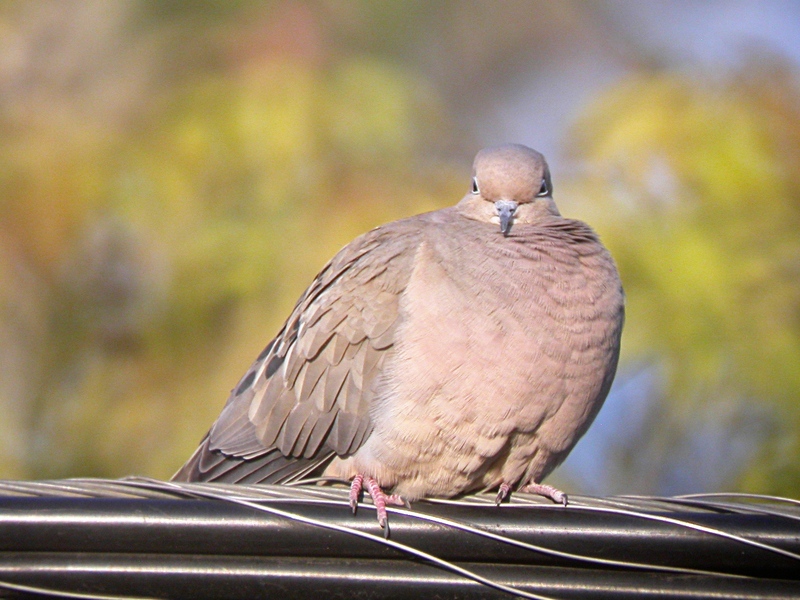 UPDATE Nov. 29: Terry writes, “It’s a standard 900mm FL, not 1000mm. A lot of the retailer ads have it wrong and says its 1000mm. I myself was intrigued when I first read about it, but later found out from looking at the PDF manual and those who bought it is that it is an F/7.9 of 900mm focal length.” So it’s not longer than London’s XT4.5, it’s essentially the same OTA. 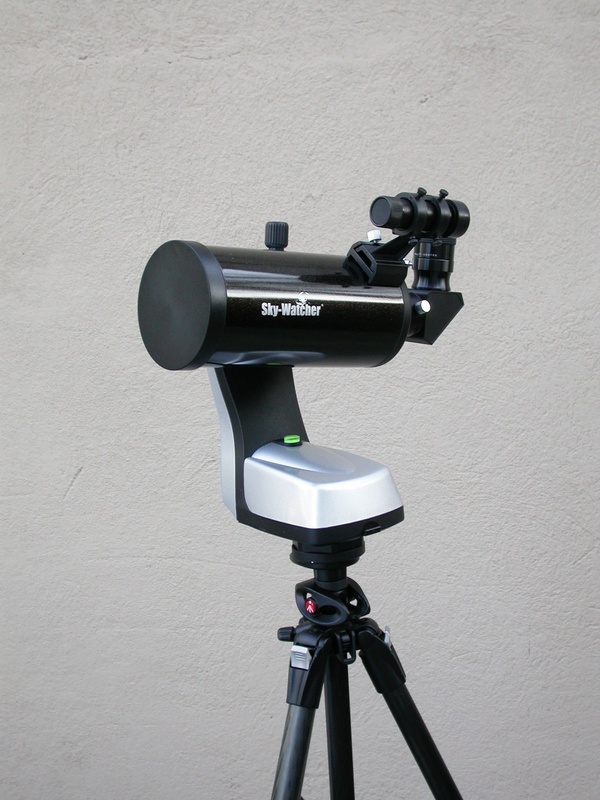 This Meade is a pretty amazing deal. A lot of small intro reflectors have a short dovetail bar bolted to the side of the tube (like my old scope Shorty Fats), but this one has real tube rings and an EQ-2 mount. The three MA (Modified Achromat) eyepieces it comes with are nothing to write home about, but the focal lengths of 26mm, 9mm, and 6.3mm are at least useful and non-overlapping when doubled with the included Barlow. Terry shared a few views with me and I can confirm that it serves up a sharp, contrasty image, as you’d expect for a scope of this focal ratio. It would be a good deal at the list price of $170, but Amazon has it for $135 as of this writing, and according to Terry it can be found for even less if you look around. 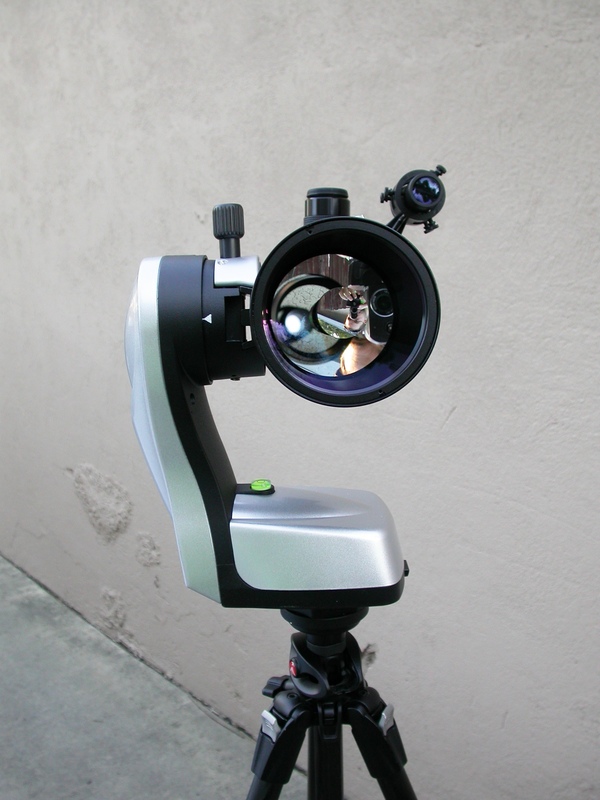 I brought the Apex 127/SV50 combo – I’m sighting on the moon here, to align the finder with the scope – and the C80ED. 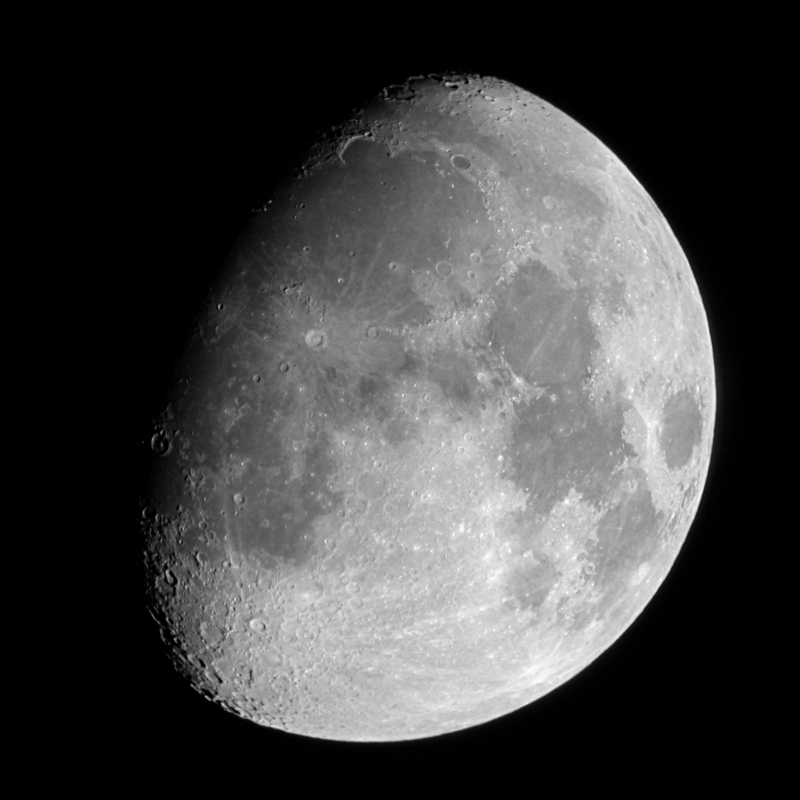 Here I am digiscoping the moon with the C80ED. I used the Apex 127 for tracking down some planetary nebulae and double stars, and the C80ED for photography and just messing around. It’s a crazy fun little scope. Unfortunately, none of my moon shots worked out this time. The forecast called for clear skies most of the night, but clouds between 10:00 PM and 2:00 AM. We got set up before the sun set at 4:45, and pushed through until 10:40. Then it got too hazy to observe, so Terry and I sat and jawed about scopes, atlases, and observing projects until the sky cleared a bit at midnight. We got in about half an hour more before the sky clouded over completely about 12:40. We talked a bit more then turned in. 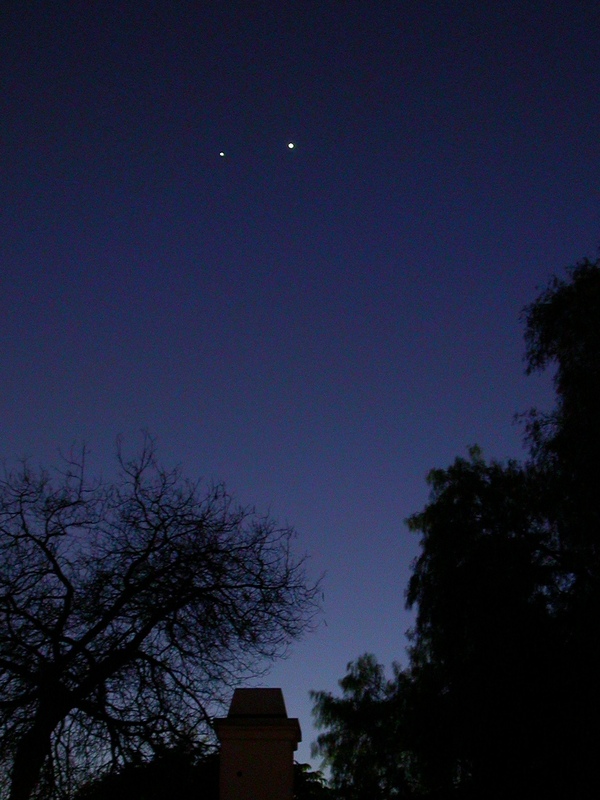 I got up at 4:00 AM to catch the morning planets – Jupiter, Mars, and Venus. I cannot get the iPhone to take a fast enough picture to capture any detail on Jupiter – it always comes out as a blank circle of light (with some glare from the iPhone, not the scope). But the moons show up nicely. I really need to get a better camera control app. I was clouded out again at 5:15, and Terry and I sat up until 5:45 watching the approaching dawn. Then it started sprinkling! Weather Underground, the Clear Sky Chart, and my other weather app all missed that. We packed up quickly and drove out at 6:30. A hearty breakfast at the Coco’s in Indio put a cap on the expedition. Although the skies were less than perfect, we had a good time catching up, and we did see some nice things. As luck would have it, I was back at the sea just eight nights later. London and I hadn’t been to the Salton Sea since last November, and he has all this week off from school, so we went last night. He took his XT4.5, and I took my C80ED. The waxing gibbous moon was only three days short of full, so the skyglow was pretty bad. But the seeing was excellent, easily 8 or 9 out of 10. I could split the four main stars of Orion’s Trapezium wide open at 25x, and fleetingly at 19x with the 32mm Plossl. I could have held that split more easily with a better low-power eyepiece. I had not noticed it before last night, but my trusty Orion Sirius 32mm Plossl, my go-to widefield and finder eyepiece for many years, has some astigmatism. Not a lot – it was only noticeable immediately after switching from my 24mm ES 68. I tried both eyepieces with and without eyeglasses to confirm that the aberration was in the Plossl and not elsewhere in the optical train, my eyeballs included (I tried both). Another case of getting spoiled by premium eyepieces. 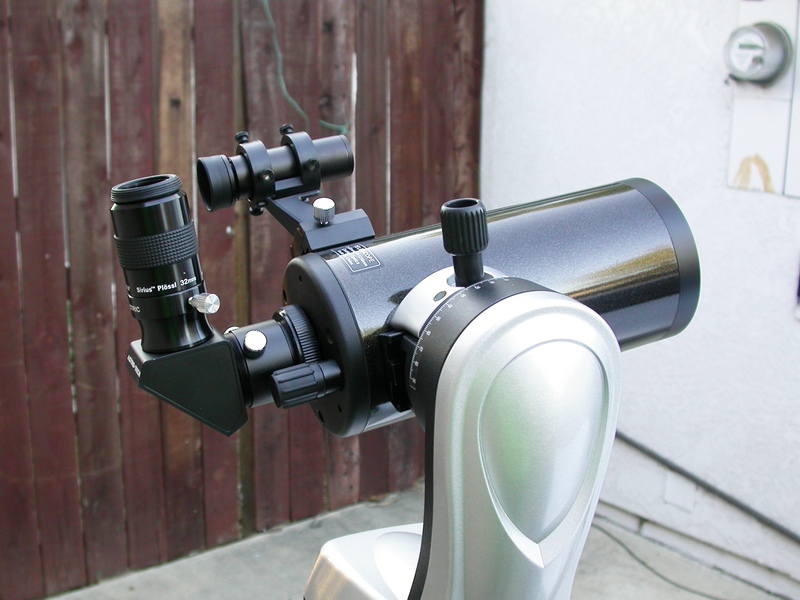 It’s fine, though – since the 24mm ES 68 gives the same field of view, I only pull out the 32mm Plossl when I want to drop the magnification even lower, or when I’m doing outreach. I spent a lot of time cruising the central part of Orion at 120x with the 5mm Meade MWA, which is now my preferred high-power eyepiece. Just three weeks ago I saw and sketched the multiple star Sigma Orionis for the first time. 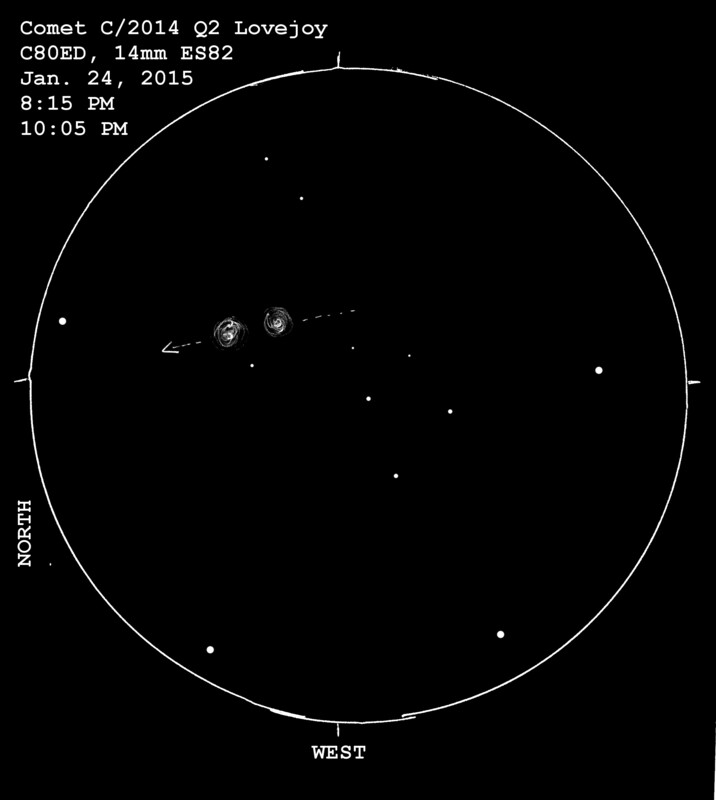 It’s funny – I’d been observing Orion regularly for eight years before that and I’d never seen it, but now I stop there every night I have a scope out. 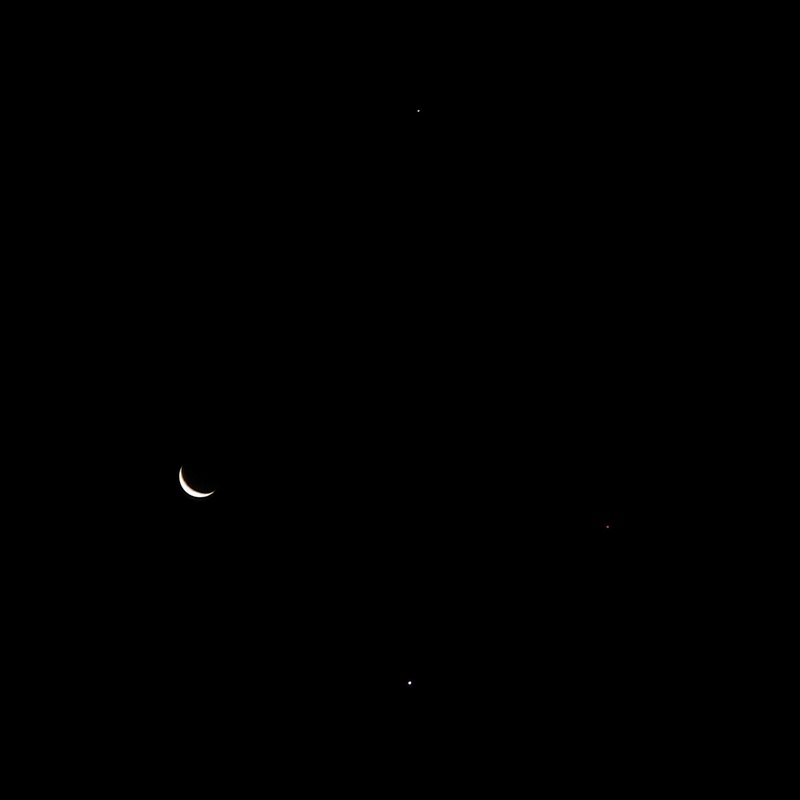 Even London’s little 60mm Meade refractor split the six main components wide open. But last night I saw a faint, seventh member that I’d previously missed. I turned in relatively early, around midnight, figuring that I’d get up after the moon set and do a quick morning Messier hunt. And the sky was truly phenomenal after moonset. I was waking up about once an hour and having a quick look around, and it was a spectacularly clear, dark night. But the flesh was weak, and I overslept, only dragging myself out of my sleeping bag at 5:00. By that time the first glimmerings of dawn were lighting the eastern horizon, so I skipped the Messiers and went to Jupiter. That planet above the scope is Venus, not Jupiter. The view was jaw-dropping. The seeing was rock solid and I was able to Barlow the 5mm MWA up to 240x without the image breaking down. At that magnification I could detect at least three delicate brown belts north of the North Equatorial Belt, and the Galilean moons were little spheres, not just points of light. I tried taking some pictures but didn’t get any better results than I had the last time out, so I put the camera away and just stared. 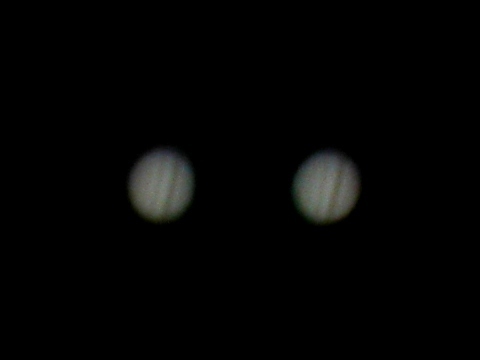 I must have spent 45 minutes just watching Jupiter drift across the field of view, mostly at 240x. Last night I was definitely in aesthetic observing mode. I spent a little over two and a half hours at the eyepiece, entirely on four objects – the moon, Orion nebula and Trapezium, Sigma Orionis, and Jupiter. I had half-formed plans to look at other things, but I kept getting seduced into long sessions of fully immersed stargazing. And I’d do it again in a heartbeat. So, neither night had perfect observing conditions. It was hazy the first night, and the moon was out during the convenient observing hours last night. But I had a great time both nights, saw some cool things, learned a little more about my gear, and enjoyed the good company of Terry and London. Couldn’t really ask for more. I’ve been out a few times in the last few weeks, mostly to see comet 2014 Q2/Lovejoy. It’s still nice and bright and it’s an easy catch in binoculars. You can get up-to-date finder charts from Heavens Above. 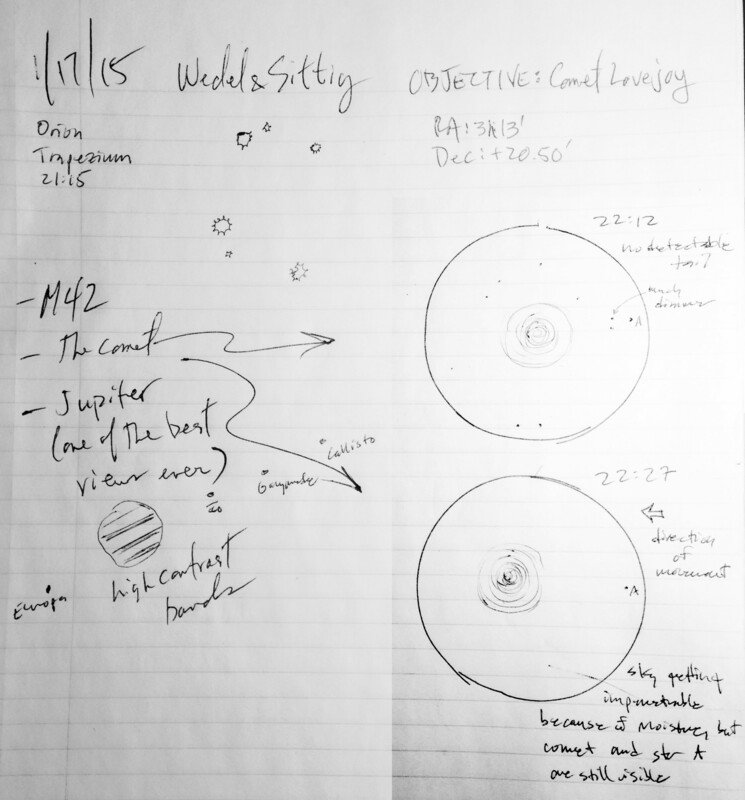 Our notes from January 17 – Steve’s sketch of Jupiter and my sketches of the Trapezium and comet Lovejoy. 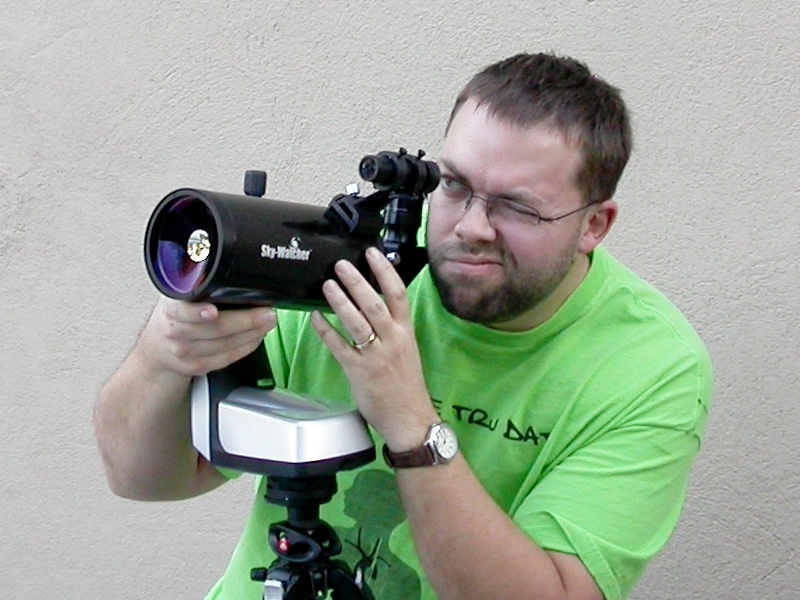 About three weeks ago now, on January 17, I was up at the Webb Schools observatory with Steve Sittig, who you’ll recall from the virtual star party, last summer’s birthday observing run, and – farther back, in 2010 – comet 103P/Hartley. We were using the equatorially mounted C14 in the Webb Schools’ Hefner Observatory. We started on Orion just to get warmed up, and we could easily see the E and F stars in the Trapezium. After that we went after the comet. It was kind of a comedy of errors. We had problems getting the telescope pointed where we needed it, and neither of us had seen the comet yet so we were a little unsure of where to look. Finally we started scanning around with binoculars and then the comet was an easy catch, and we were able to get the scope on target. I made a couple of sketches a few minutes apart that show the comet moving through the field, but the western sky was getting hazy and pretty soon the comet was lost to us. 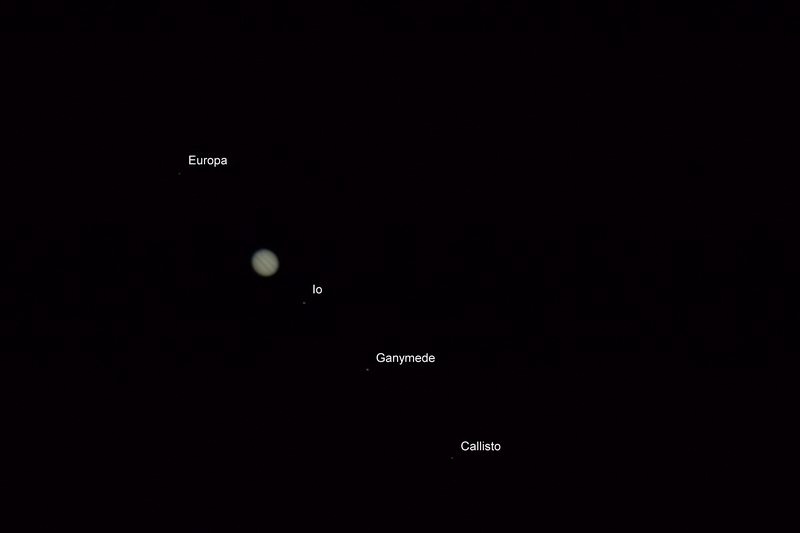 Jupiter and the four Galilean moons on January 17, 2015. Click through to see the moons. Photo by Steve Sittig. After that we turned east to have a look at Jupiter. Steve made a sketch and got some photos with his DSLR mounted to the C14. As is usually the case, the photos do not nearly capture all of the detail that we could see at the eyepiece. We could see many cloud bands at high latitudes, and north and south equatorial belts were highly detailed with ruffled edges and festoons. Io was distinctly yellow at the eyepiece, much more so than the other moons, which ranged from white to a very faint blue. Thanks to Steve for the photos and for the great, if brief, night of stargazing. 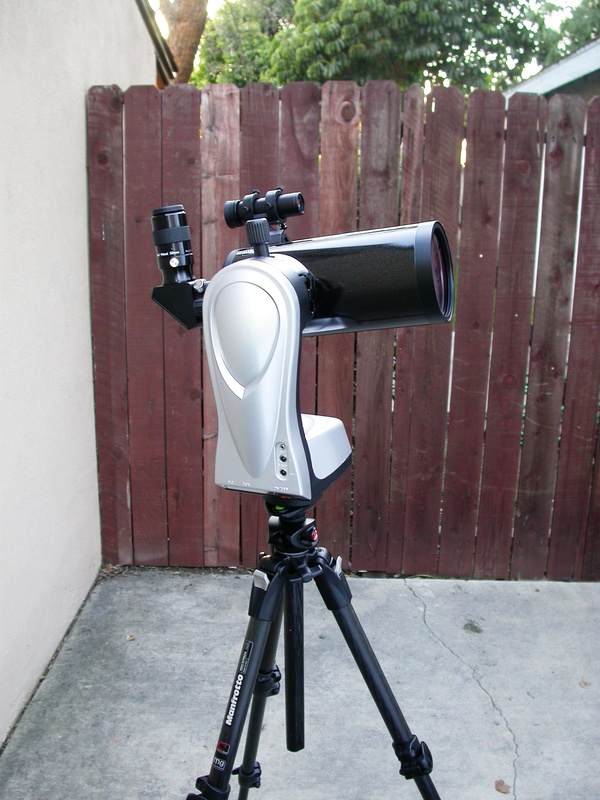 The next Saturday, January 24, London and I set up telescopes in the driveway and took in some of the best and brightest objects (most of which London found himself!). I sketched the comet a couple of times, to show it moving against the background starfield. I have another long-delayed observing report, from a trip to Anza-Borrego Desert State Park late last fall, but that will have to wait for another time. A followup from a recent post. 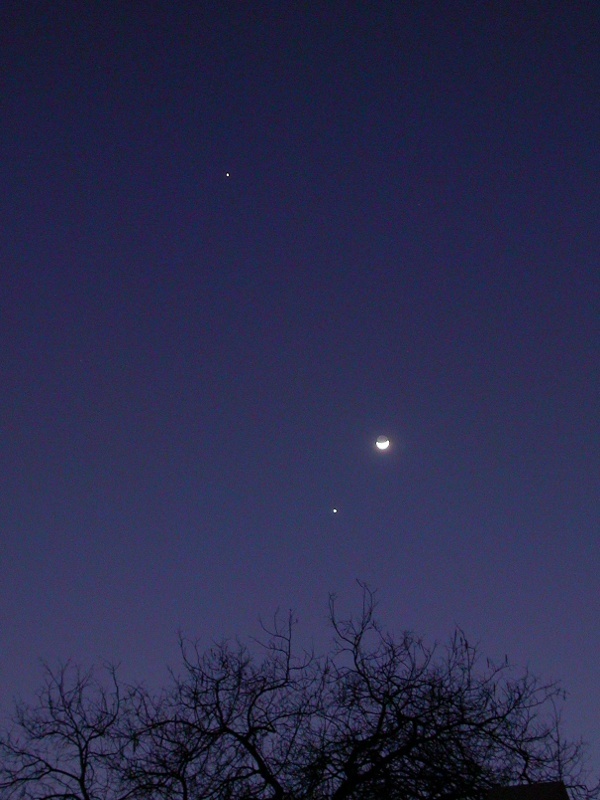 Here’s how the celestial trio looked from my driveway last night. 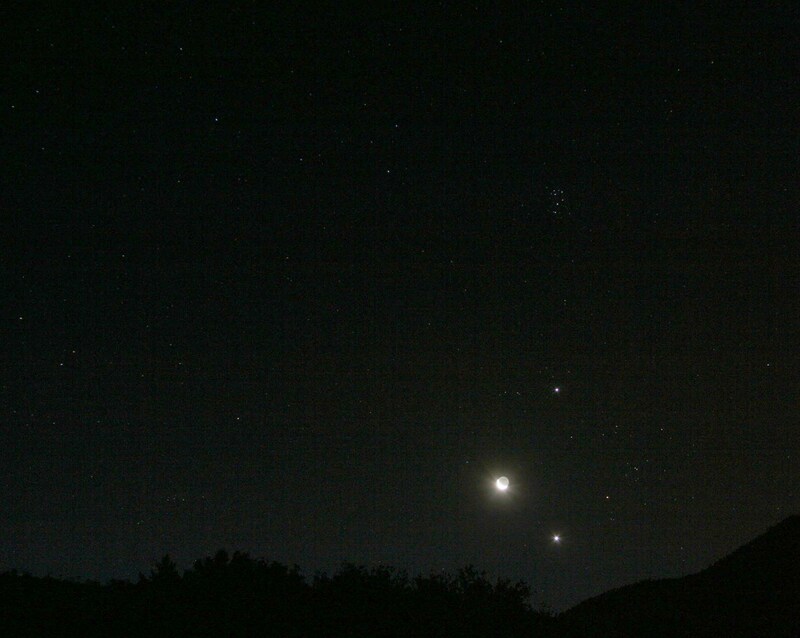 Venus is lowest and Jupiter is highest. No scope for this shot, just my old Nikon Coolpix 4500 on a tripod, about a 1 second exposure. The CCD is a little noisy at that length, especially in low light, so the picture is more pixellated than I’d like, but it’ll do. 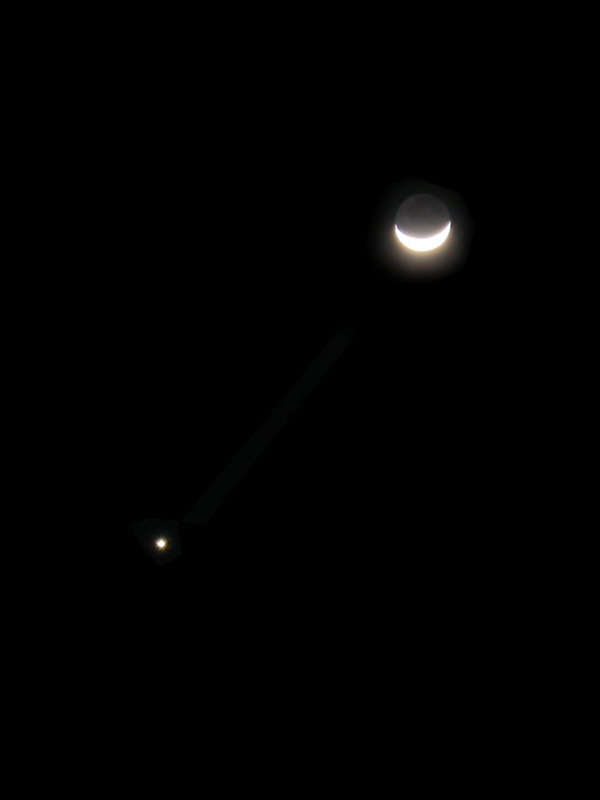 Here’s a closeup of Venus and the moon, shot through my SV-50 and a 32mm Plossl (7x), unzoomed. Tonight the moon is up by Jupiter, and even closer to the King of Planets than it was to Venus last night. I got a quick naked-eye look as we were off to dinner tonight, but by the time we were done eating, the clouds had rolled in, the moon was just a bright fuzzy spot in the sky, and the planets were completely obscured. So it goes. Next month Venus will be even higher in the sky and Jupiter will be a little lower, so the two will be even closer and prettier when the moon visits them next. 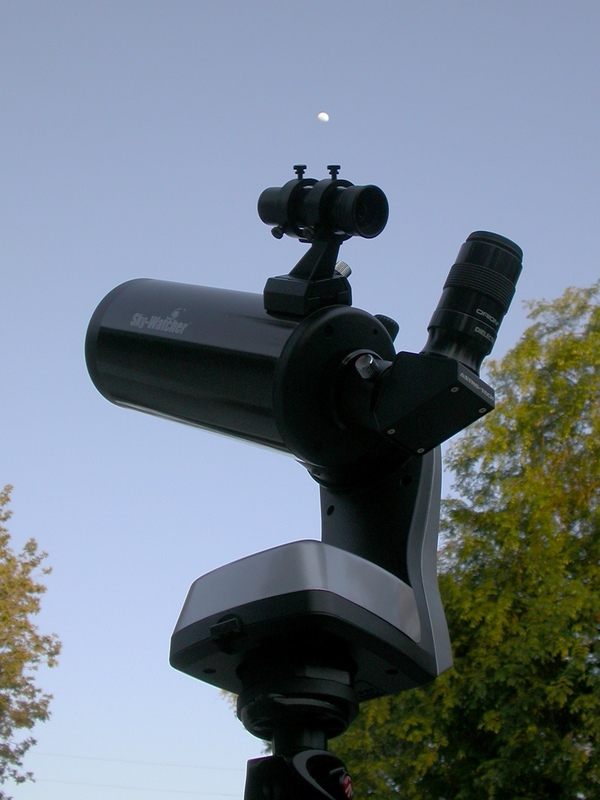 Even when the moon is elsewhere, the two planets reward study with the naked eye, binoculars, and telescopes. Mars is up in the east right after sunset, as close to Earth as it will get for the next couple of years, and Saturn is rising around midnight for the night-owls. It’s a good time to observe the planets. Even if all you have time for is a naked-eye peek, you can still appreciate that these moving lights in the sky–“planet” is Greek for “wanderer”–are worlds, that we know something about them, and that someday–maybe–we’ll go out there and explore them ourselves. You are currently browsing the archives for the Jupiter category.